Yesterday marked three weeks since Mobi’s opened and I have to say it has not been without incident. First of all we had the drinks cooler crisis, which was followed by the unpleasant altercation with Singha John and as if that wasn’t enough, we had a military coup and curfew to contend with in week number three. At this rate we are probably due for an earthquake to round out our first month of operation. The coup took place at around 5.30 last Thursday and the military leaders immediately announced that a 10 p.m. to 5 a.m. curfew was in force for the entire country. – Hundreds of prominent figures, including ousted government leaders, politicians attached to the former government, protest leaders, political activists and journalists have been ordered to report to the NCPO and are banned from leaving the country without permission. – The military junta has disbanded the country’s Senate and placed all law-making responsibility in the hands of the army general who led the coup. Responsibility for any laws needing the approval of the parliament or Senate will instead be assumed by the leader of the junta. There is more, but I think you can get the idea. On the evening of the coup, some brown-uniformed local council officials turned up at our bar at 9.p.m. and told us to turn off all our lights, but that we could continue to stay open until 10 p.m., which we did. I have never seen so much traffic racing around the lake as I did on that night as everyone was hurrying home, not knowing what forces there may be out there to arrest them and whisk them off to destinations unknown. As it has turned out, there hasn’t been any sign of a single soldier, let alone a road block anywhere in the vicinity of the lake since the coup was announced. Not even a bosun’s mate out in a rowing boat on the lake to tell the late night fishermen to pack up their rods and go home. Friday morning brought out the local cops in force – well two of them anyway. The first one told Noo that she had to close the bar for three days. Noo called me to break the bad news, and I told her to check again as I hadn’t seen anything about bars having to shut down on the internet, and I couldn’t see why this should be the case out at the lake. She then contacted cop number two who told her we could open until 7 p.m.
Why 7 p.m. when the curfew didn’t start until 10? I decided to drive around the lake and see what other bar owners had been told, and sure enough for every bar, a different closing time had been imparted. It seemed as though Lake Mabprachan’s ‘finest’ were making it up as they went along, so I resolved to ‘play it by ear’, and see what the other bars decided to do. Running a bar is certainly a strange adventure. I was beginning to get a little concerned during the days leading up to the coup as the number of customers had dropped off sharply. 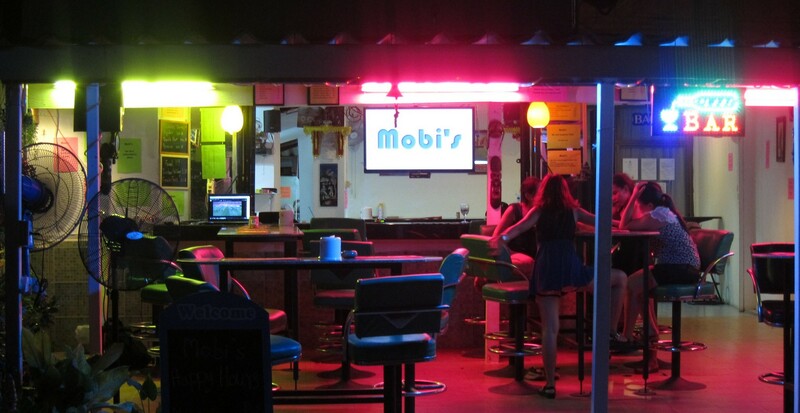 OK it was insufferably hot – even at night – and I knew that many expats had fled their homes in search of cooler climes – but it was definitely worrying that many of the customers who had been patronising Mobi’s the first two weeks had largely disappeared at the start of week three. Then came the coup and blow me down if everyone didn’t suddenly re-appear to discuss what had happened and to share their ‘curfew tales’. Even though we have been closing two hours early for the past two nights, we have had a good crowd in and takings have never been better. So as far as I’m concerned – bring on the coups! Joking apart, we already seemed to have acquired a number of regulars who have come back time and time again, so we must be doing something right. 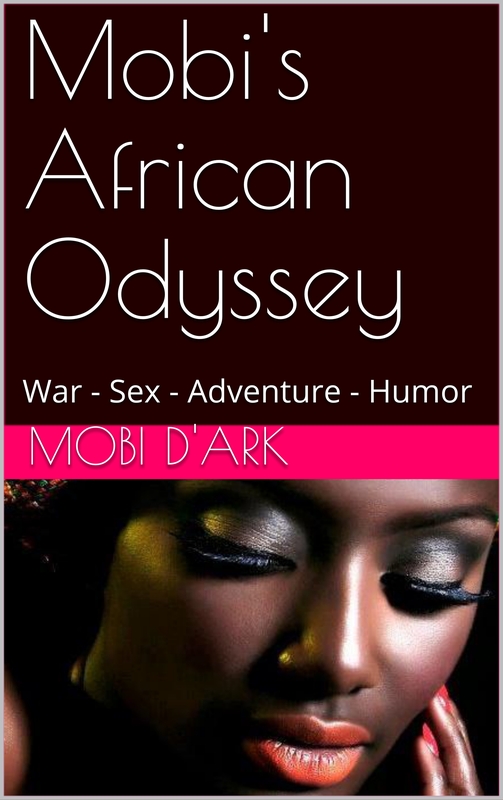 Is this to hear the scintillating and erudite wit of ‘mine host’ – Mobi – or to is it to appreciate the beauty of our girls, who are now four in number, not icluding the beautiful Noo. Or maybe it is the mix of non-rap, non-hip hop, non-techno, non-club music videos from the past five decades that we show on our two large screens; or maybe the late evening live concerts; or possibly the live sport or the delicious hot dogs and French fries; or maybe just the overall friendly ambience. Or maybe it is Mobi’s silly habit of buying rounds of drinks for the regulars. Whatever it is, we will keep on doing what we are doing and strive to do it even better and improve our service. Watching Thai television – especially news and sport during these militaristic times can be somewhat frustrating. There were no television programmes at all for the first twenty four hours following the coup and every channel was obliged to show a slide announcing the coup and play patriotic songs. On Friday afternoon some local channels were allowed back on the air but it wasn’t until yesterday (Saturday) that the satellite TV streams were allowed to resume. So our plans to show the Monaco Grand Prix practice sessions on Friday went out of the window, but on Saturday evening we successfully showed the Grand Prix qualifying session. Then we had high hopes of showing at least the first half of the UK football championship play-off at Wembley stadium which started at 9 p.m. It started off OK, but after 15 minutes the transmission was cut to show the latest announcement from the military junta. This went on for nearly 10 minutes, and I thought, ‘well that’s it for the football’, but we did return to the match eventually and fortunately the score was still nil-nil. But not content with one announcement, another – shorter one – soon followed, and although we returned to the match just before half time, I think our interest in the outcome had well and truly been beaten out of us. No one was a rabid QPR or Derby fan. Which was just as well, as it was 9.45, and all the other bars were either closing or had already closed, so I regretfully told our few remaining customers that we would have to call it a night. About a week ago we had a customer who asked us what cocktails we served. I sheepishly informed him that we could do a ‘B52’ at a push but as we had no cocktail shaker, that was the sum extent of our cocktail capabilities. He proceeded to buy at least ½ dozen ‘B52’s for the young lady he was sitting with, and I resolved to rectify the cocktail-less situation as soon as possible. So following a quick ‘Google’, I came up with a list of 5 cocktails which seemed to be relatively easy to make, and went down town to buy a shaker and the necessary ingredients. Since then I have plugged the cocktails in the local Thai forum, have put notices in the bar, and even offered 50% discount to the first two customers for each cocktail. Now a week later – not a single taker. I guess the lakeside crowd are just not into cocktails…..
Next Saturday will bring our first, almost complete month of trading, (we opened on 2nd May), and I will make a financial assessment of how our first month’s business has gone. The computerised till system is working well although both Noo and I have made some mistakes in keying in and running the daily reports. This has complicated things but we are learning from our mistakes and are slowly getting into a good routine. Every night I run a number of reports, one of which which tells us how much cash there should be in the till box, and while it has been spot on about 4 occasions, on other other days it has been out – sometimes under, sometimes over – and we then spend the next hour figuring out what went wrong. Never mind, we are all learning, and hopefully the second month will run a lot smoother than month one. No ‘Tales from a Barfly’ this week as it is all pretty much included in the foregoing narrative. For those who may be wondering if there has been any further troubles since my little set-to last week, I can report that Singha John has been as quiet as a mouse. If you don’t have problems then you are not in business. Good luck with bar I think you are going to need it.